The holidays are already upon us and that often mean appetizers, and if you are lucky, some yummy pasta. A standard cheese pairing is, of course, wine. Not into the typical wine and cheese pairings? Here are some ideas for beers to pair with you next mac and cheese experience. Much like with wine pairing, a good rule of thumb is that the stronger the flavor in your cheese, the heavier and more complex you can get with beer. For example, an aged Gouda will pair will with a heavy stout or porter because the flavors are strong enough in both to stand up to each other. A more delicately flavored cheese, like a Havarti, will be better suited with a lighter beer, like a Pilsner. It's basically all just about balance of flavors. As with wine pairing, you'll want to keep in mind what kind of flavors you are adding into your mac and cheese (veggies, bacon, garlic, etc.). Those flavors will have to compete with your beer choice just as much as the cheese does, so it's important to keep that in mind while cooking and choosing a good beer pairing. 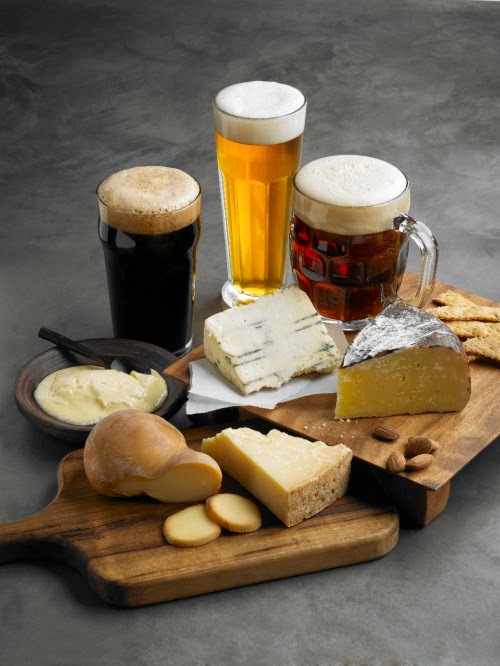 Do you have a favorite beer and cheese pairing? Enjoy!